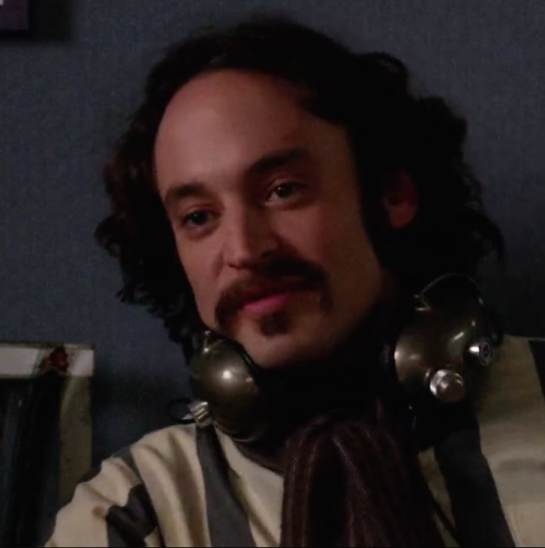 Charlie Hofheimer plays Peggy Olsen’s boyfriend, Abe Drexler on Mad Men. He is a journalist/writer who basically just lives off Peggy. She just bought an apartment and he’s doing “some light remodeling.” I would do that for a free place to live. Hell, I had to do some light remodeling when I moved into my current apartment, like removing the door knob from my closet door and putting it on my roommate’s bedroom door because it was missing a knob. I wonder what kind of knob problems Abe is dealing with? This entry was posted in Actor Mustache, Mad Men Steesh, TV Steesh and tagged abe, Abe Drexler, Actor, AMC, boom, Charlie Hofheimer, drexler, emmy, entertainment, fashion, Humor, journalist, knob, Mad Men, Moustache, mustache, olsen, Peggy Olsen, remodeling, roommate, style, television, TV on May 8, 2013 by Los Bulls. 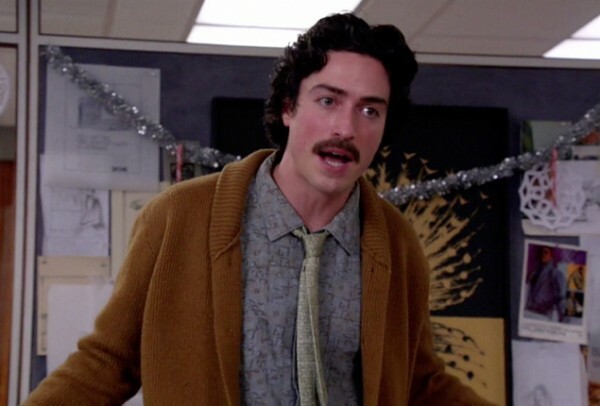 Ben Feldman plays Michael Ginsberg on AMC’s Mad Men. Season 6 of Mad Men takes place in 1968 and as far as I can tell there was a Mustache Boom that year. Also it doesn’t really seem like people had to worry about matching their clothes, as evidence in the above picture. In the last episode a guy was wearing a sweater-turtleneck with a cardigan sweater over it. The double sweater is almost impossible to get away with these days. This entry was posted in Actor Mustache, Mad Men Steesh, TV Steesh and tagged Actor, AMC, Ben Feldman, boom, cardigan sweater, clothing, emmy, entertainment, fashion, Humor, Mad Men, Michael Ginsberg, Moustache, mustache, style, sweater, television, turtleneck, TV on May 8, 2013 by Los Bulls. 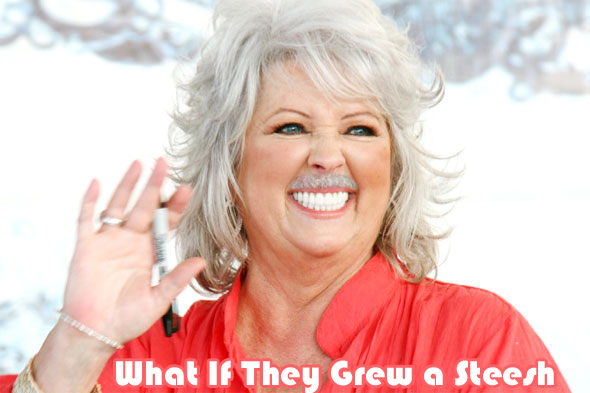 Paula Dean is a southern cook who uses a lot of butter and once got a ham thrown at her face. The only reason I’m posting this is to share a video I saw the other day that she was in. The video has had over 100,000 views the last 2 days and I am responsible for at least 7 of those. UDPATE: I can’t figure out how to use the internets. Click here for video. This entry was posted in Celebrity Steesh, TV Steesh and tagged butter, chef, cooking, Creepy, deen, entertainment, food, Humor, Moustache, mustache, Oprah, paula, paula dean, paula deen, restaurants, south, southern cook, southern cooking, television, video, youtube on March 13, 2013 by Los Bulls. 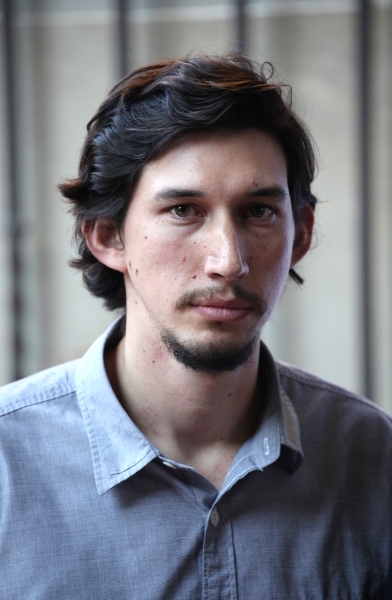 Adam Driver is a former United States Marine and current Television and film actor. He appears on the HBO series Girls as Adam Sackler (haha). 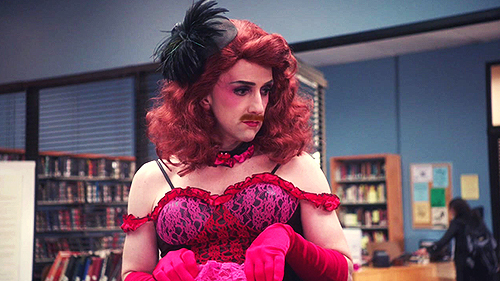 Girls is a pretty good show but for my money, the guys are Girls are the best. I like Adam because it’s nice to see someone in their 20’s that doesn’t look out of place with a steesh or like he is trying too hard. This entry was posted in Actor Mustache, Character Actor, Charity Steesh, TV Steesh and tagged Actor, adam driver, comedy, entertainment, film actor, Girls, hbo, HBO Girls, hbo series, Humor, Lena Dunham, Marine, Moustache, mustache, Sackler, television, united states marine, United States Marines on March 12, 2013 by Los Bulls. I just saw this picture on the Breaking Bad Facebook page and I think I am legally obligated to share it here. Enjoy. 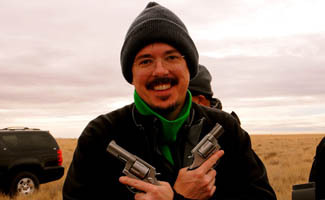 This entry was posted in TV Steesh and tagged AMC, Breaking Bad, entertainment, Humor, Moustache, mustache, television, TV, Vince Gilligan on February 8, 2013 by Los Bulls. I’ve been in a bad mood all morning but was just reminded that Community is on tonight. Maybe that will bring me some happy. This picture sure helped a bit. 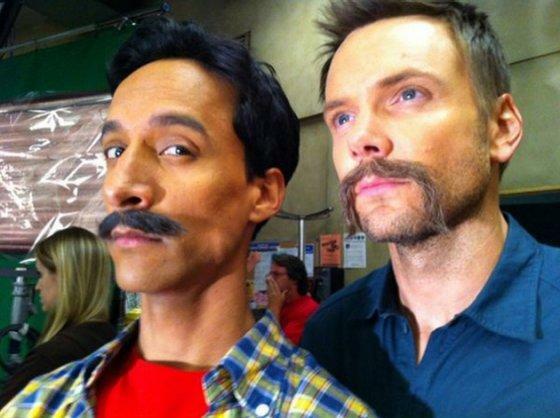 It’s Danny Pudi and Joel McHale all steeshed up. This entry was posted in Comedian Steesh, TV Steesh and tagged comedy, community, danny pudi, entertainment, happy, Humor, joel mchale, Moustache, mustache, NBC, television, tonight on February 7, 2013 by Los Bulls.